If you’ve ventured outside lately, it’s been so hot that many areas have issued safety warnings and heat advisories. What about those of us who have a big race or event coming up this summer?! Training waits for no one, including the weather – and the weather certainly may not cool down in time for your event. So how can you continue to stay active and work toward your goal when it’s hotter than noon at the equator? We give you some tips for keeping up with your goals while staying safe this summer. It may seem obvious, but we bet you’ll still see plenty of people chug down the sidewalk or road in the heat of the day. Try to plan training runs, rides, and outdoor cardio for either very early or late enough in the day to take advantage of the shade or (relatively) cooler temperatures. If you know you have a longer run, ride, or event outside the next morning, be sure and drink plenty of fluids the day and night before. You don’t want to head into any effort in the heat at a hydration deficit. Some experts recommend sipping chicken soup for the liquid as well as the additional sodium. Don’t wait to get home to guzzle water. Be sure to take fluids with you; including an electrolyte solution if the forecast is a scorcher, you tend to sweat a lot, or if you’ll be out for much more than 30 minutes of moderate exercise. Want to know how much to bring? Weigh yourself before and after your training and see how much weight you lose – that’s how much to bring next time! Start out with a cooler core body temperature by pre-cooling your body. You can take a cold plunge in an ice bath or even a cool/cold shower before your work out or event. Ever watch elite runners train? You’ll often see them running in layers in warmer months to add heat; this helps prepare their bodies for higher temperatures they’ll face during a race in a warm climate. Your body can adjust to the heat but experts warn you’ll need an average of two weeks of gradual training to prepare. If you begin to feel unusual, unwell, dizzy, sick to your stomach, short of breath, faint, have cramps, or other warning signs of heat illness, stop immediately. Seek shade, fluids, rest, and help if symptoms persist or worsen. It’s definitely a “better safe than sorry” situation in the heat of summer! Stay safe out there and if you’re looking for ways to improve your overall health or get past an injury, motion issue, pain, or more, call us at Body One Physical Therapy. 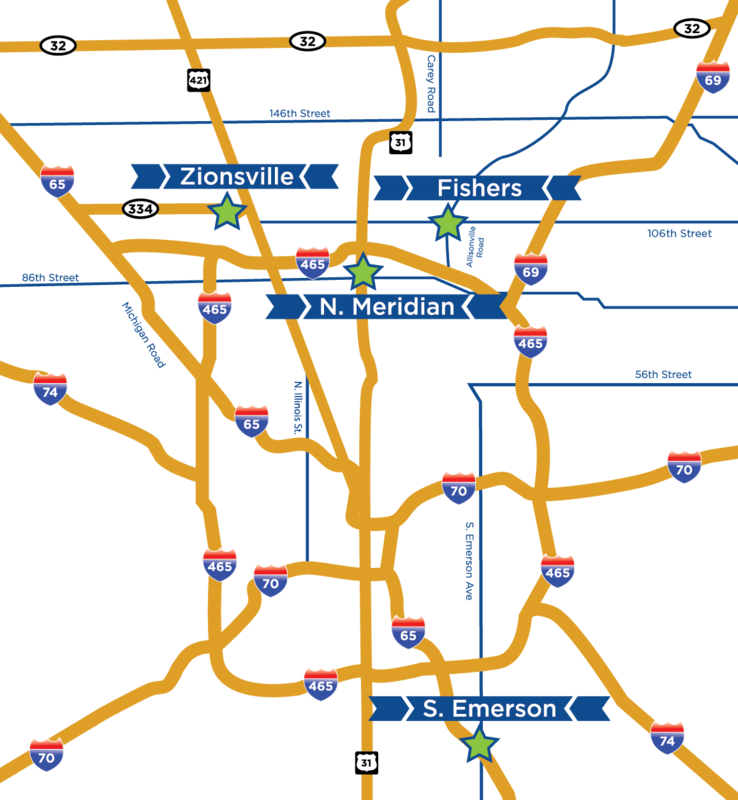 With four convenient locations in Central Indiana, you’re sure to find one that works for you: North Indianapolis, South Indianapolis, Fishers, and Zionsville. One of our talented team members will work with you and design a treatment plan to help get you moving and feeling better, fast!